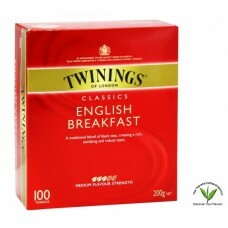 Description- Twinings has been blending my family tea for years. 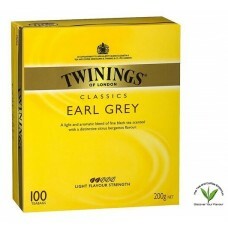 Today, I am proud to continue this tradition with the tea celebrated throughout the world known as Twinings Earl Grey. Legend has it that my ancestor, the second Earl Grey, was presented with this exquisite recipe by an envoy on his return from China. Fine black tea perfectly balanced with the distinctive flavour of bergamot, a citrus fruit. What We Think- A Twinings tea at its best. If you are looking for a full bodied aggressive earl grey this however is not for you, it’s the best illustration of a light and fragrant Earl Grey we have tasted though. Black tea steeping time is best between 2-3 Minutes with boiling water.